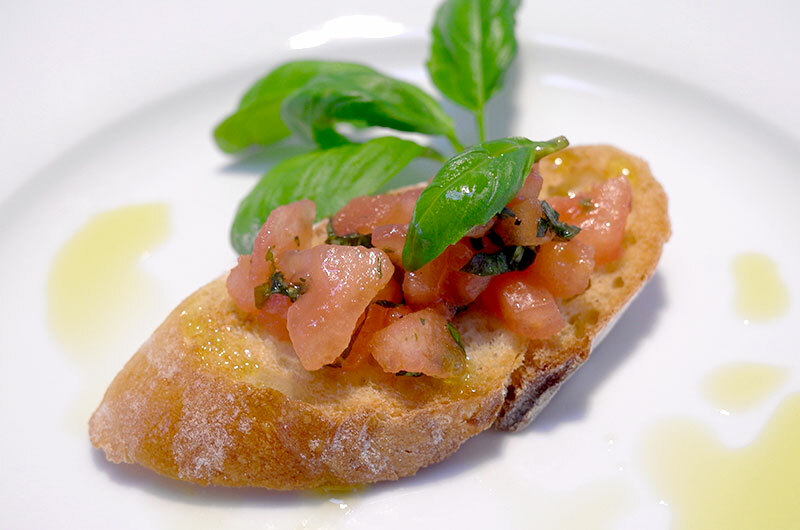 Bruschetta al Pomodoro is the most common type of bruschetta known in the United States and in many other countries. However, the word “bruschetta” is from the Italian verb “brusciare” which means to burn or toast. And, in Italy bruschetta is made when bread is toasted, rubbed with garlic, drizzled with olive oil and than topped with a pinch of salt. Today, it is a “carrier” for different toppings. Enjoy the most my most famous Tomato Bruschetta.